Should Schools be Investing in an Environment-Friendly Campus? The adverse effect of climate change is more visible than ever before now and working to save the environment is no more an option. The process must start from the lowest of levels and every individual must participate equally to protect our world. Schools are centers where students learn and the awareness about the rising concerns must begin here. The top school in Sonepat will invest heavily, both time and money, to teach students about the importance of preserving nature and lead them towards a future of sustainable development. Apart from the fact of inspiring young minds towards working for the environment, having a Green Campus serves other purposes as well. A school maintaining all norms of being environment-friendly shows better performance among its students along with the obvious facts that they are creating more informed individuals. Turning a campus green has always been a necessity and it is more so now due to the existing environmental challenges that we are now facing. A recent report showed that a staggering number of children lose their health due to the continuous degrading air quality. Lung and breathing diseases are more common now and the urban areas are continuously facing the challenge to maintain a balance between development and pollution. Both students and faculty members spend most of their time inside the school campus and if air quality is unhealthy here, health failure is imminent. A green campus will have substantial open space, covered with greenery along with adequate ventilation. High ceilings allow better air circulation which reduces the chances of contamination of air with dust. Such an environment reduces health risks which naturally drives down the absentee rate among all. Students can attend more classes and teachers can focus better. The whole ambiance supports learning as the surrounding greenery and space boost aesthetics along with air quality. Apart from being environment-friendly, renewable resources are cheaper than the standard sources of energy. For instance, if a part of the electrical needs of a school can be met by solar energy which has zero cost of production, the institute is actually saving both the environment and its own resources. The same is applicable if the school invests in techniques like rainwater harvesting where the water needs can be fed by stored rainwater. The money saved by using such sources of energy can, in turn, be put to use for advancing academics. Students can freely experiment with electrical components or brainstorm about new ways to preserve resources. Seeing such environment-friendly appliances in use, they can draw inspiration and apply the same in their homes which will further help the cause. Even energy efficient lighting systems help where CFLs can replace the age-old bulbs and reflectors can direct the light wherever necessary, reducing wastage. The primary motive of any of the top 10 school in Sonepat is to make their students responsible towards the society and the environment. Only then can education be complete when students can grow themselves along with their surroundings. If the schools preach the importance of a clean environment and what effects can wastage have, their students will use their resources more responsibly which will help the entire society. Take the example of waste segregation. The best school will teach their students to separate biodegradable wastes from the non-biodegradable ones and put them into separate bins. This practice will help the students to apply the knowledge in their personal lives as well where they will reduce wastage, avoid littering and opt for products that will not harm the environment. The teachings of recycling and upcycling will continue which will improve the quality of living but also create a better tomorrow. And there is indeed no alternative to it in the current age. The faster the environment degrades, the poorer will be the health of our children and the effects will continue down the generation. If the school practices what it teaches, the impact on the students will be more prominent and they will absorb the knowledge rather than simply gathering it. A student will learn better about the applications of solar energy if he/she sees it in action daily and will naturally apply it in his/her own life. 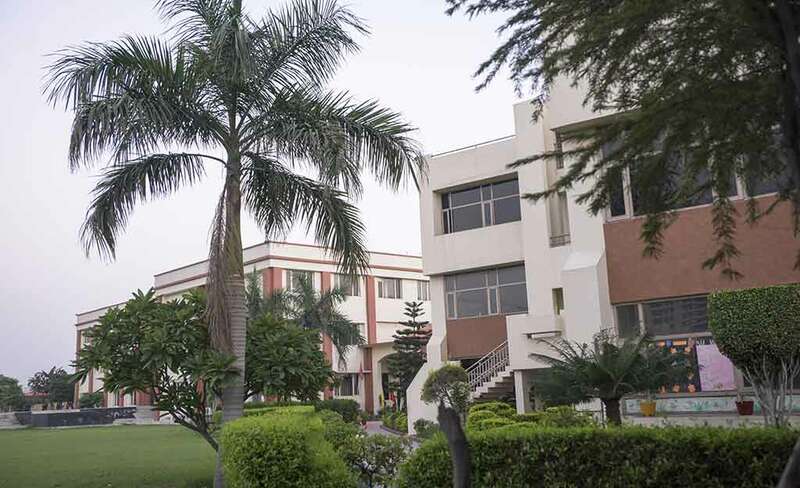 Swarnprastha is one such institute in the top Sonepat schools list which invests heavily in an environmentally friendly campus. It makes extensive use of solar energy, the lighting systems are efficient, it has a reservoir for rainwater harvesting and has been successful in reducing its waste generation by 99 percent. Its environment-friendly approaches have earned the school the award of the top Green School campus and the authorities continue to further its efficiency. So, opt for such a school where students will learn about the environment along with academics and work together to save our nature for a better future.